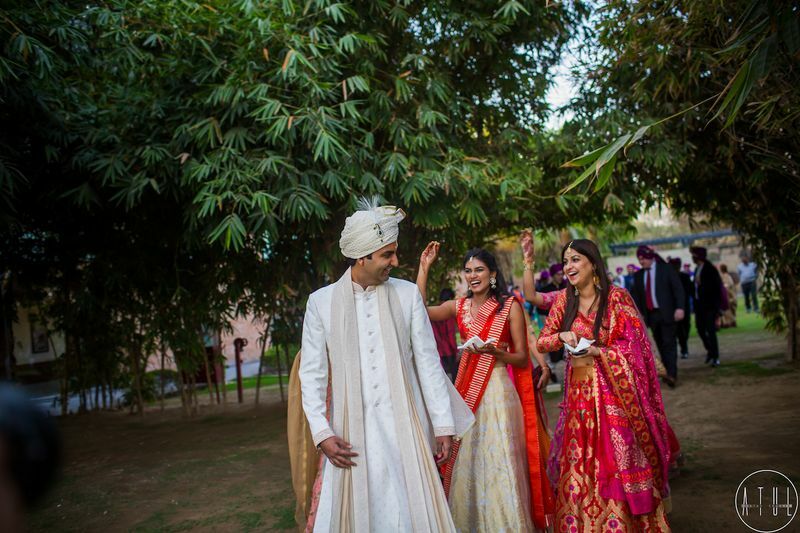 Sophisticated & Elegant Delhi Wedding With A Bride In Plum! 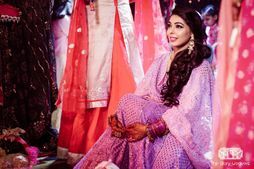 Plum is such an overrated hue with brides, don't you think? 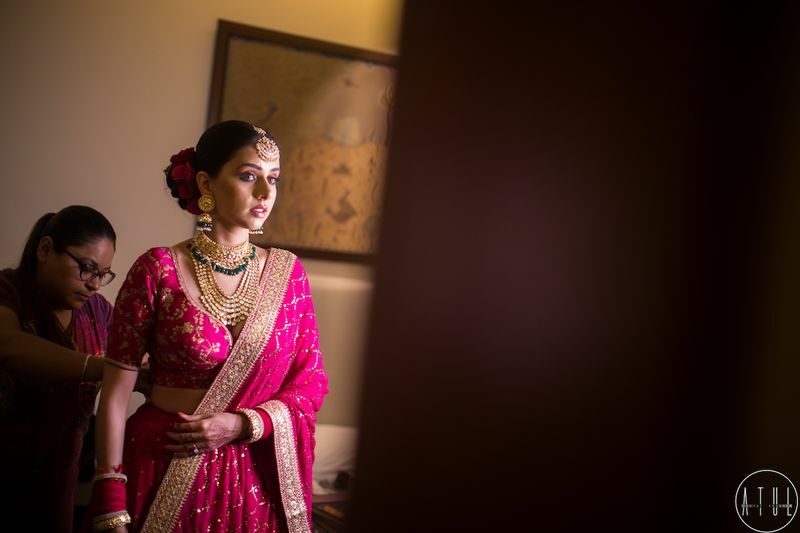 We love the colour and this time, this beautiful bride wore her pretty plum Sabyasachi with minimal jewellery and a subtle makeup look. 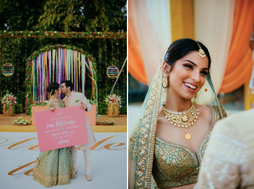 And not just the wedding lehenga, the other outfits too went from Raw mango lehengas to Sue Mue lehengas - so elegant. 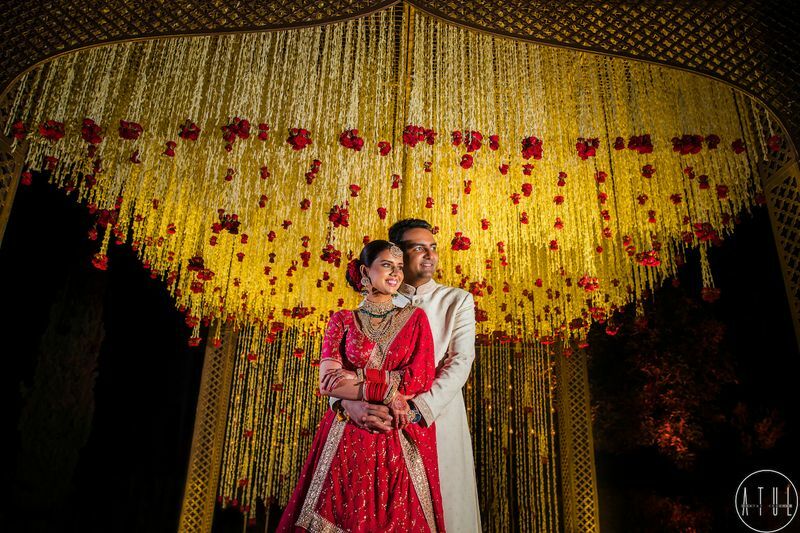 The decor was gorgeous and the venue, Taj Gateway Resort, Damdama Lake is a unique one at that. 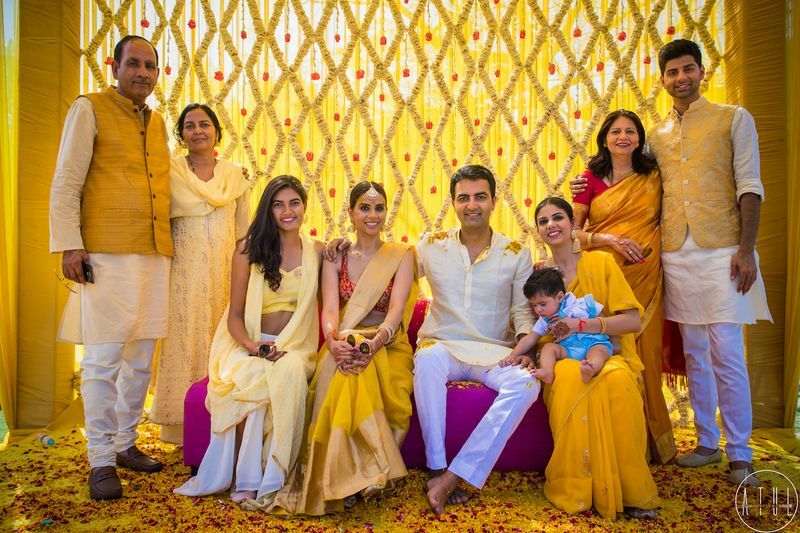 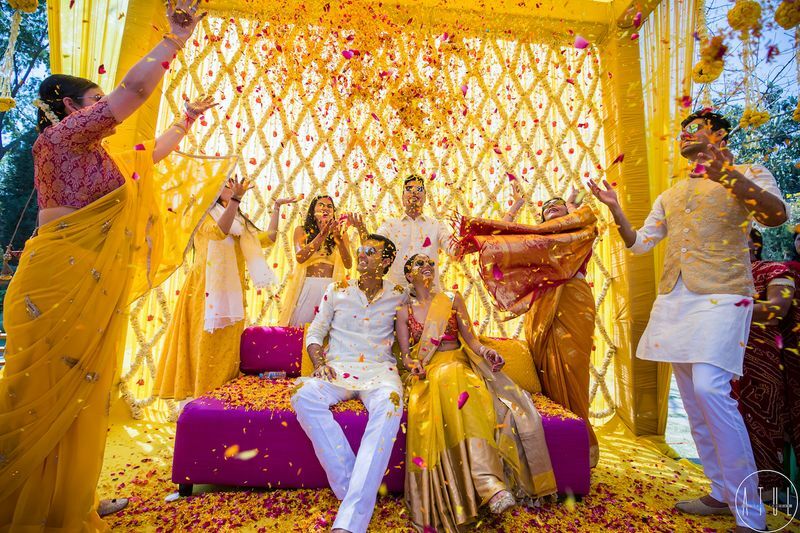 Photographer Atul Pratap Chauhan★ 5 took all the candidness up a notch (check out the fun Haldi images!) 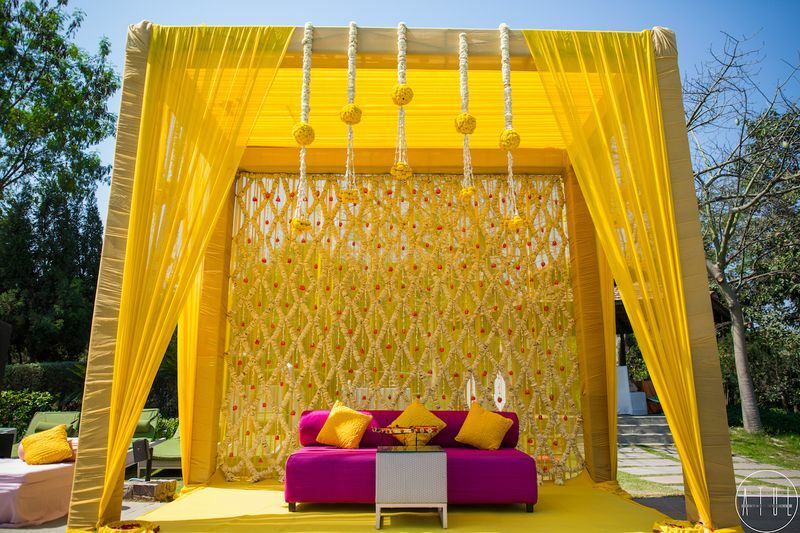 while Wedding Planners, Designer Events Inc★ 4.9 took the energy of the wedding to another level in their impeccable style! 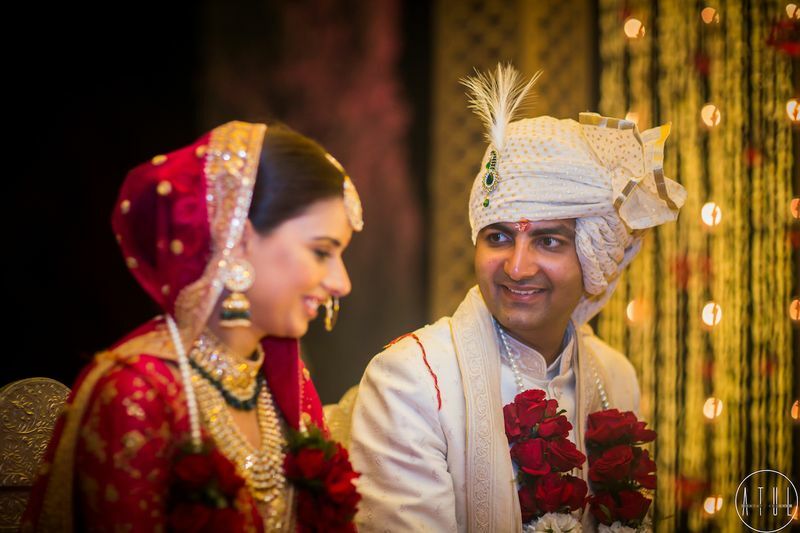 We met in college, in our undergraduate college and the rest, they say, is history. 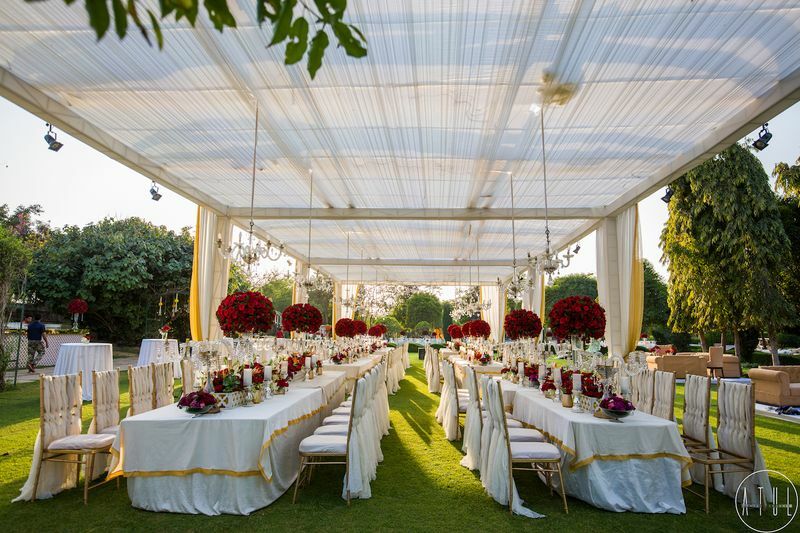 We always wanted an intimate and outdoor, destination wedding. 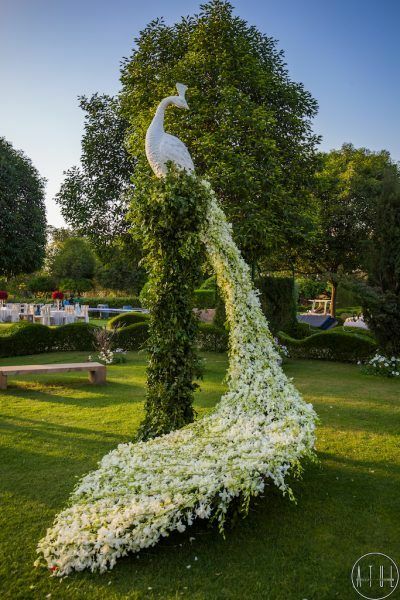 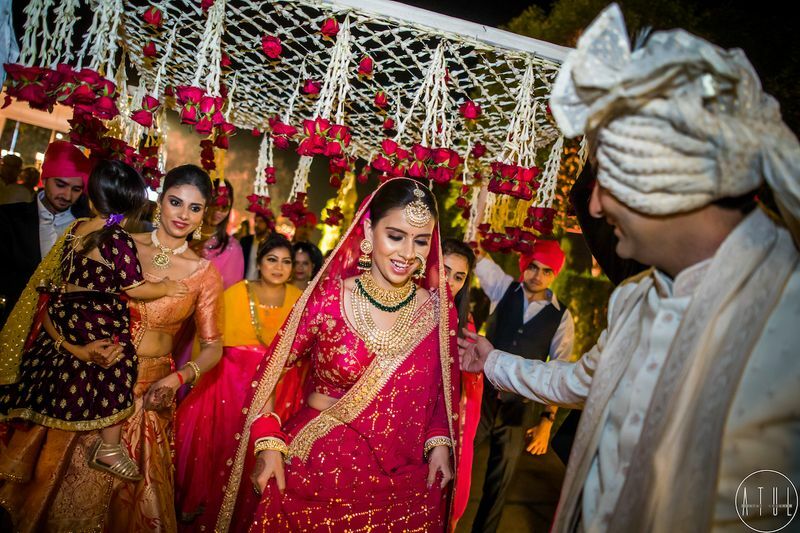 We chose Taj Damdama as our wedding venue, as it is located outside the city with beautiful outdoor locations and the size of the property allowed us to book it fully for more privacy and flexibility. 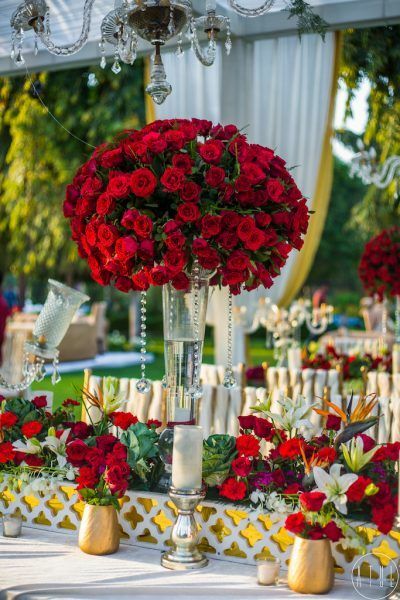 Our planners, Designer Events Inc. were the best planners ever with a never say never attitude. 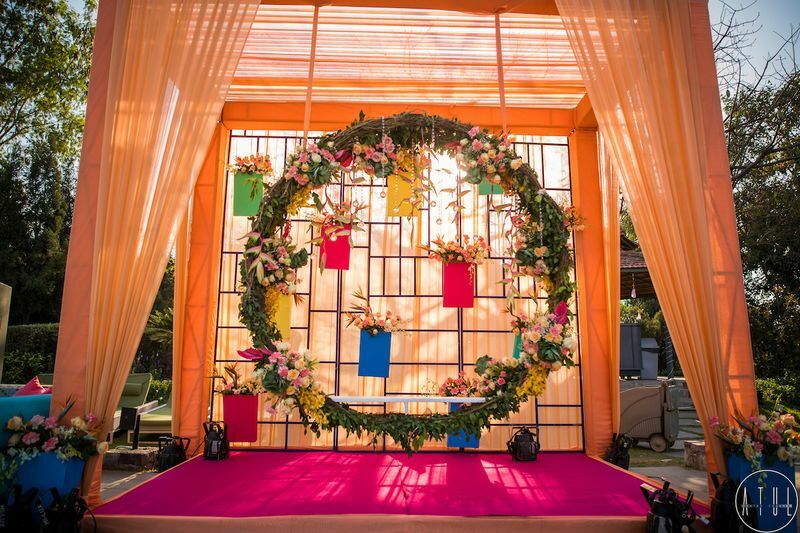 The decor by Elements Décor was extremely beautiful and created a magical ambience. 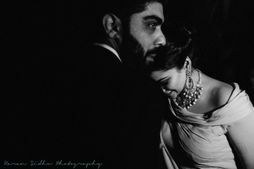 Exactly how I and Ankit had imagined it. 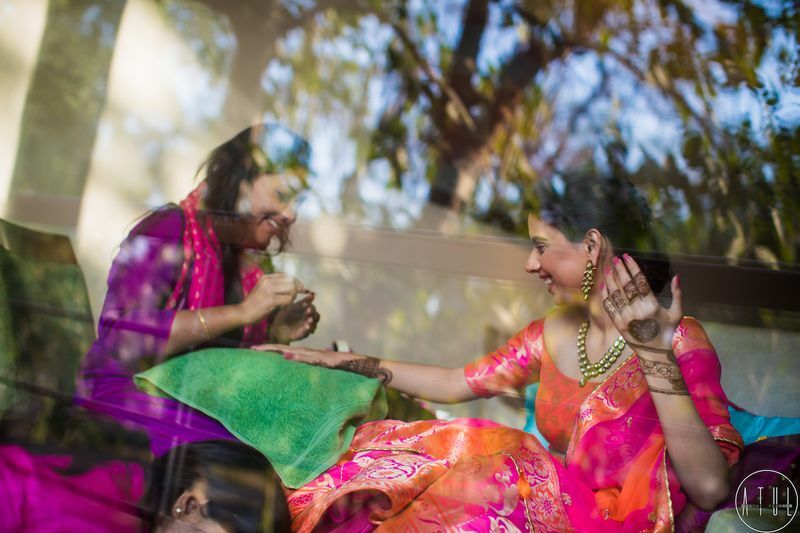 Makeup by Saloni, she's very talented and a thorough professional. 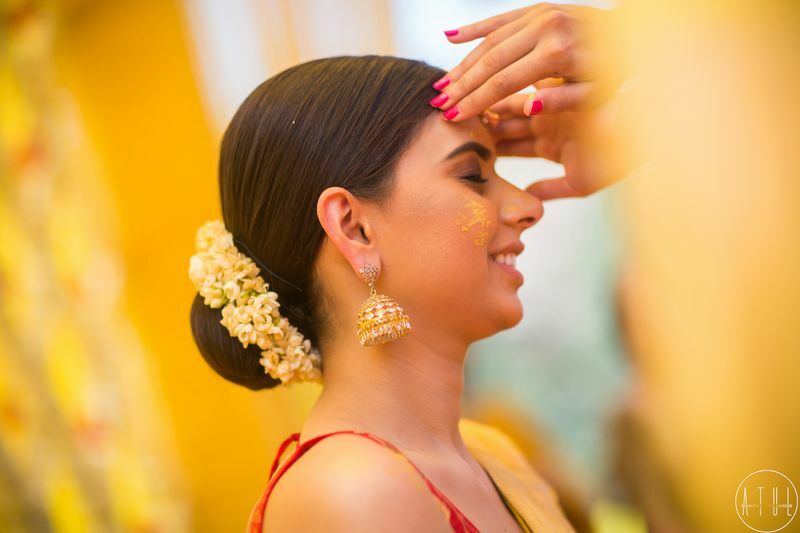 She listens to the client and works as per their needs. 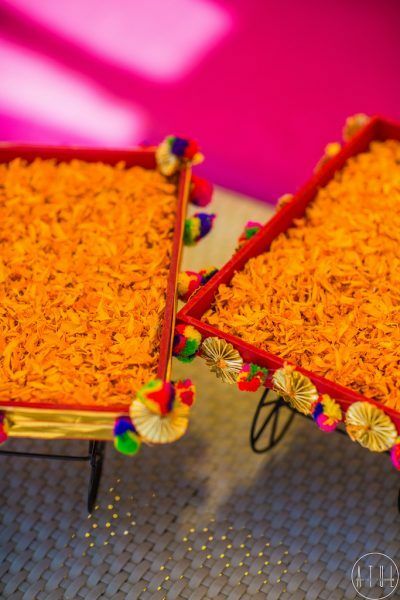 Our invitation cards had a great design and Itchha Talreja Designs handled it beautifully while our Mehendi Artist, was a joy to work with. 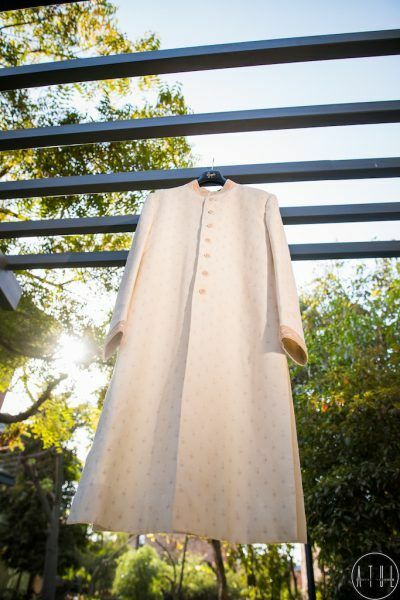 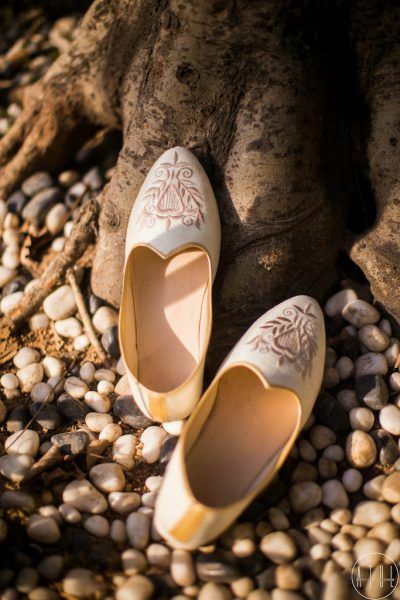 We loved her minimal yet traditional designs. 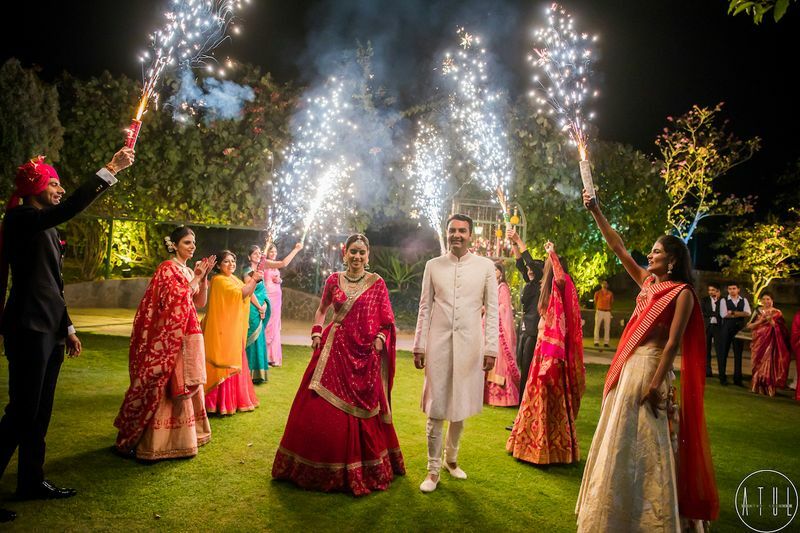 We celebrated our big union over three days with the choicest people and created the most beautiful memories to last a lifetime. 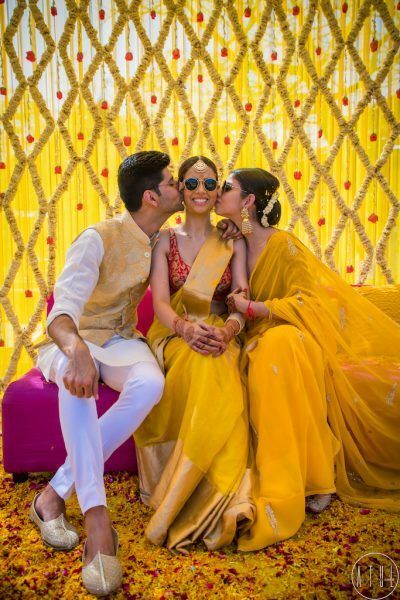 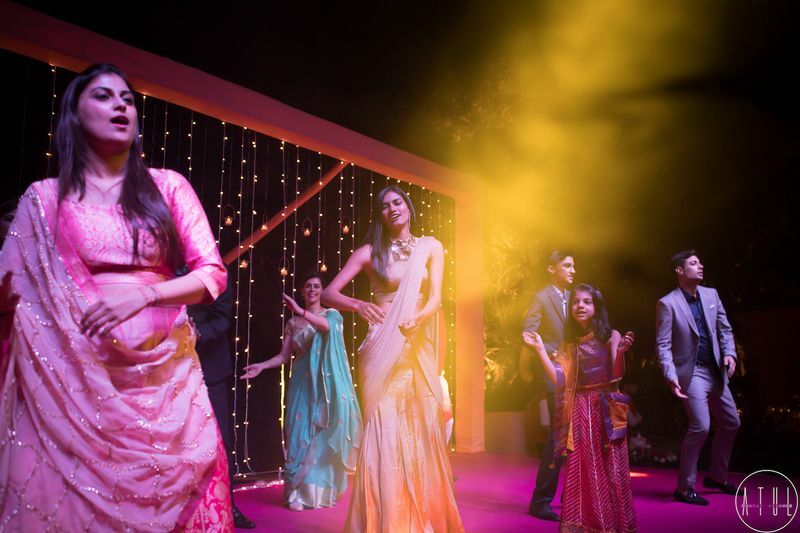 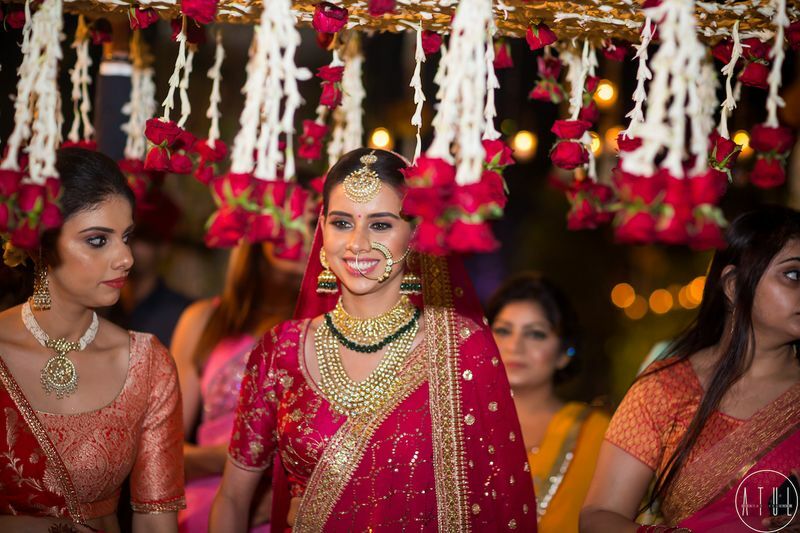 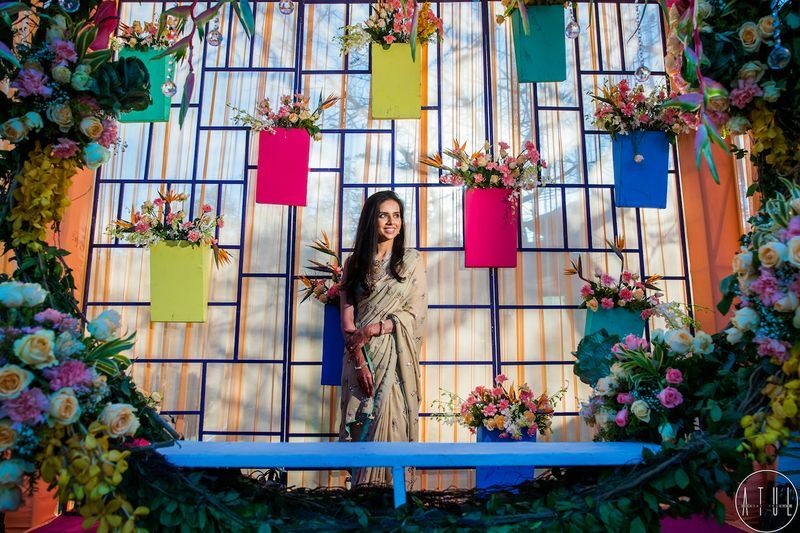 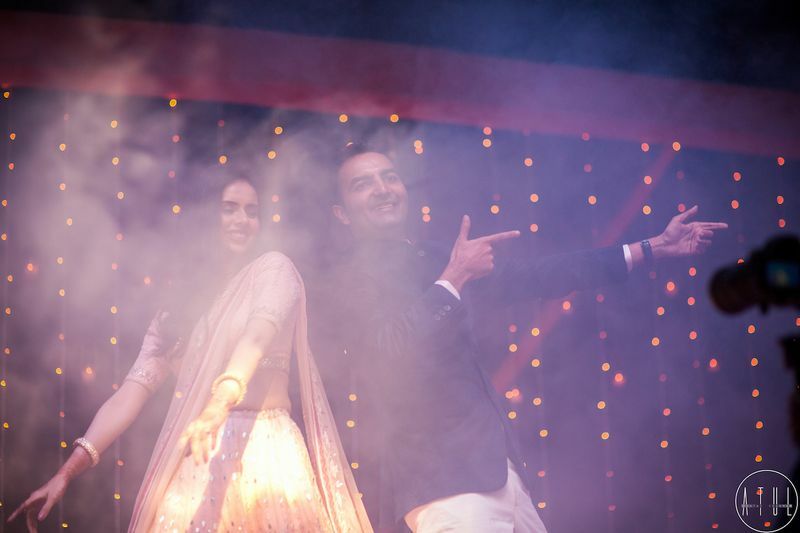 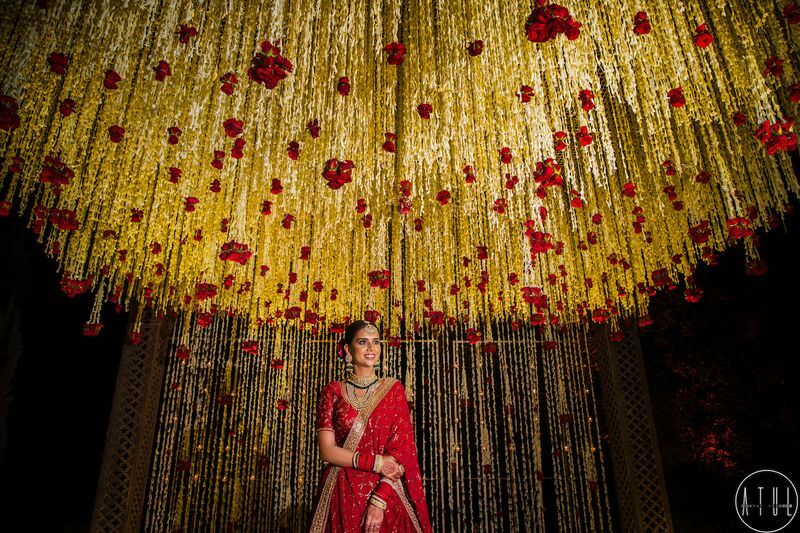 Glam Delhi Evening Wedding With A Playful Bride! 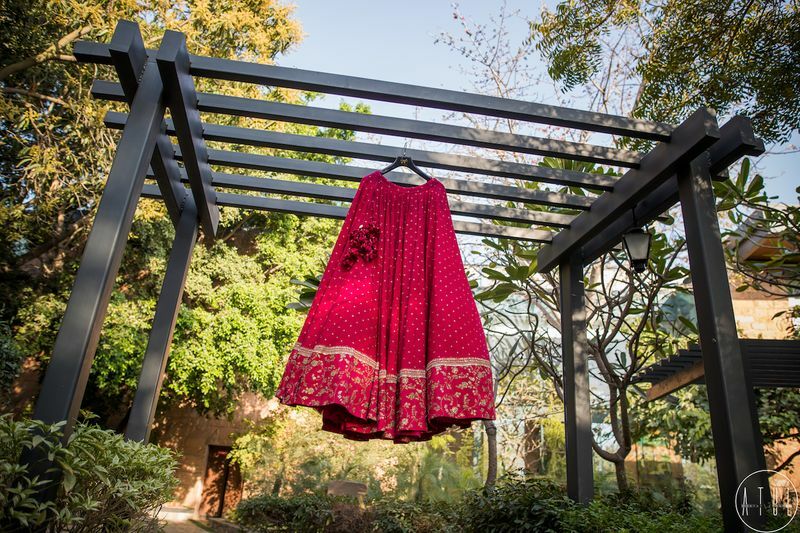 Pretty Evening Pheras In Delhi With A Bride In Oxblood! 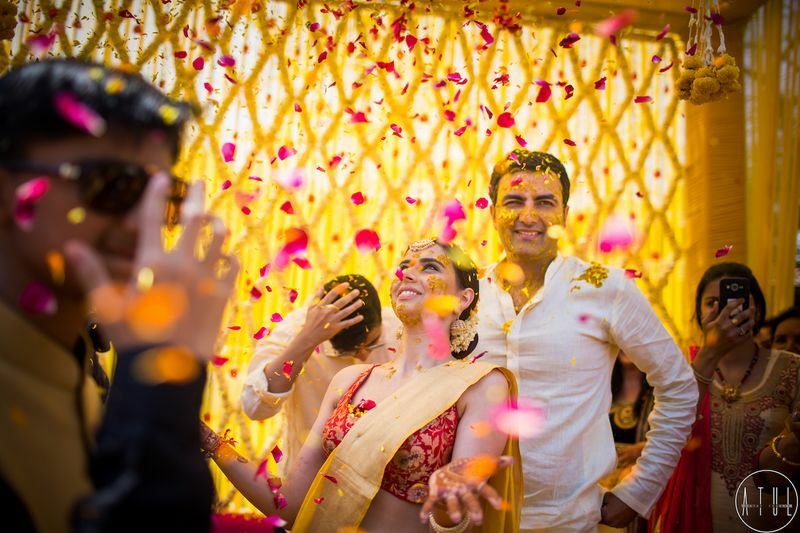 Simple Delhi Wedding With A Bride In Burnt Sienna! 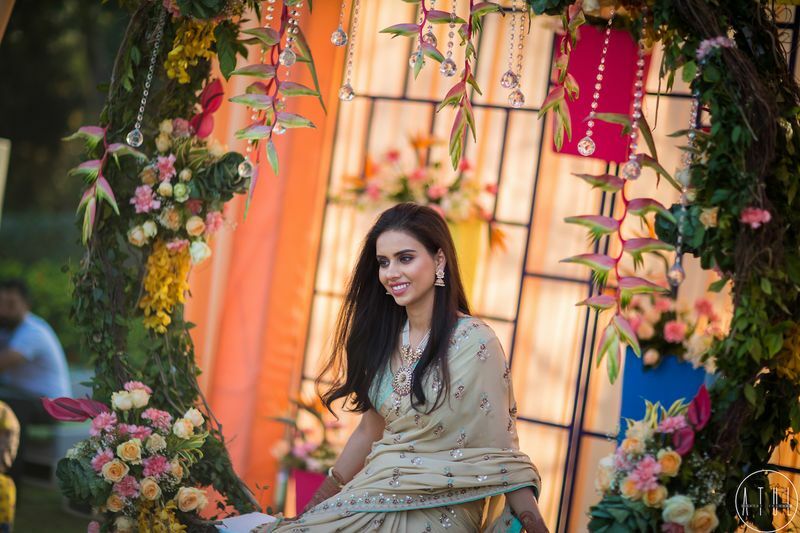 Elegant Delhi Wedding With Adorable Details and DIYs! 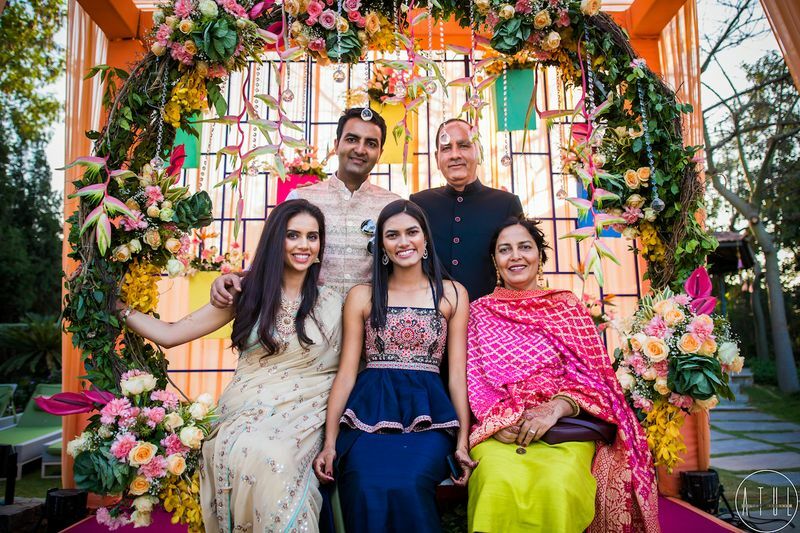 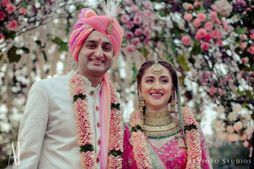 Gorgeous Delhi Wedding With A Bride In Pink And Beautiful Florals! 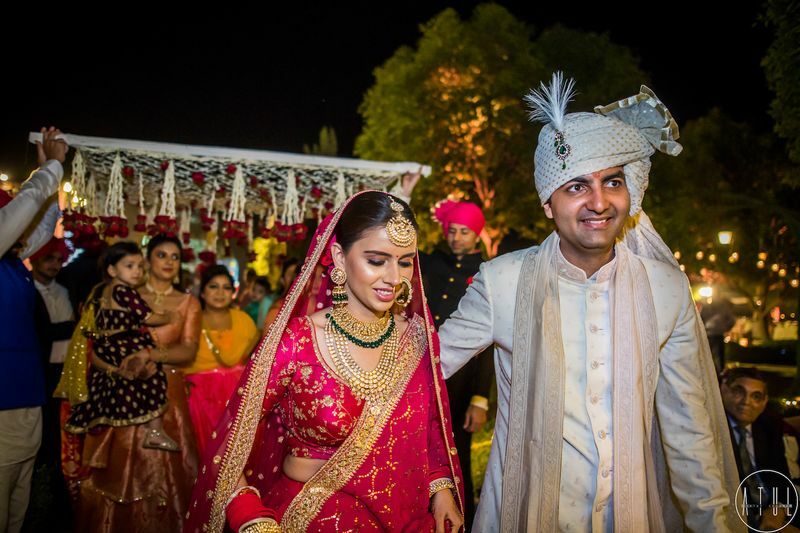 Farmhouse Winter Wedding In Delhi With A Bride In Violet!